The European food scandal involving millions of chicken eggs contaminated with the insecticide fipronil continues to grow, with Germany’s agricultural minister now saying those responsible for the contamination must face criminal prosecution. 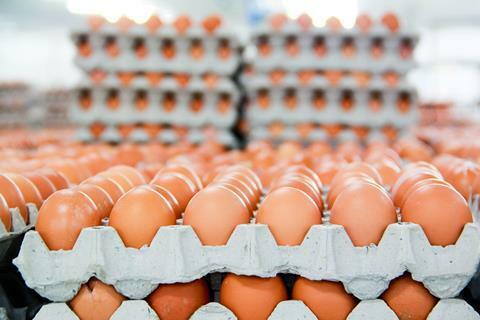 Reports of eggs contaminated with fipronil, which is highly toxic, first surfaced in the Netherlands on 22 July, when Dutch food safety authorities closed seven poultry farms after fipronil was found in eggs. Fipronil, whose patent is held by German chemicals giant BASF, is used in a variety of products, including pesticides to protect crops and in veterinary medicine against fleas, lice, ticks, mites and other pests. However, regulations forbid the use of fipronil on or near animals in the food production chain. The contaminated eggs in the Netherlands initially seemed a relatively minor local issue that would soon be rectified. But by the end of July millions of fipronil contaminated eggs had also been found in Belgium and Germany, triggering massive recalls from grocery store shelves, with government agencies releasing code numbers to help consumers identify tainted eggs. During the first week of August the contamination was thought to be confined to the Netherlands, Germany and Belgium. But on 7 August contaminated eggs linked to the Netherlands were reported to have been delivered to France and the UK. The UK Food Standards Agency issued a statement saying only a small number of contaminated eggs entered the UK and risk to public health is low, adding that investigations indicated ‘affected products are no longer on the shelves’. The various national investigations into how eggs were contaminated by fipronil are still ongoing and there are still many unanswered questions, including when the contamination began. But authorities now believe that contamination most likely occurred when a Dutch company hired by poultry farmers to fight an outbreak of red mites used a cleaning solution that contained fipronil. The company, identified in the Dutch press as ChickFriend, apparently acquired the cleaning solution from a Belgian firm that had added fipronil. In a TV interview on 8 August, German Agricultural Minister Christian Schmidt said of the egg scandal: ‘It is criminal, that is very clear.’ He added that the crimes must be ‘punished’ and the structure behind the crimes dismantled. Schmidt said the investigation had been hampered by a lack of quick information and full transparency between Belgian, Dutch and German officials, so he therefore was sending top level officials to the Netherlands and Belgium to observe investigations. The European Food Safety Authority (EFSA) in 2013 warned that fipronil poses a major risk to honeybees when used a seed treatment to maize, an assessment that BASF disputed.